Jacob had a soul-wound that spilled all over the pages of Genesis. From before he was even born this striving, pulling, grasping desire to make himself great burned through his veins. Every time we turn around he’s manipulating or stealing or deceiving, pushing himself forward by sheer force of will. And then we find him, an old man, the night before he’s going to meet his brother. Jacob has a family now, with children and servants. He has amassed wealth. He deceived in order to receive the blessing meant for his brother, and now he is as great as his father predicted he would be. But on this night, it’s like his soul-wound flares up again. He wrestles with God on the banks of the Jabbok River. All night he fights and as daybreak comes, the angel of God touches his hip. In an instant, Jacob’s weakness is exposed. It had always been there, you know. Jacob was a man. A sinful, weak man. A man in need of God. All his life, Jacob worked to steal the blessings of others and I can’t help but think that somewhere deep inside, Jacob wondered if there was anything good enough in him to deserve a blessing. I see this soul-wound painted across his story. The child who, from birth, wondered if he was good enough for his father’s love, for a blessing of his own. And when it came down to it, when his hidden weakness was laid bare, He didn’t let go of God. Instead, he finally asked God for the thing he had been trying to steal his whole life: a blessing. I love what God does. From Jacob, or “grasper”, he is transformed into Israel, “God will prevail”. Oh, glory. In my life, God used a different type of “touch to the hip” to break open my soul-wound. 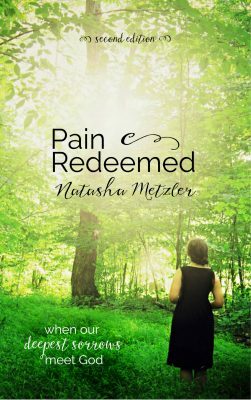 He used a pain called infertility to tear apart the masquerade I had been perfecting since birth. God, in His grace, refused to leave me with festering wounds inside. He inflicted pain, yes, but only because it hurts to break a wound open so it can heal. And I was left with the same choice as Jacob. I could have let go, wallowed in my weakness as I pretended to be strong– or I had the choice to hang on tight. To accept the exposure of my soul-wound, and humble myself enough to whisper the words that were burning in my veins. For me, it wasn’t a blessing but a fear. Will You really give me what I need? Will You, God? Or will I be forced to take care of myself? Because that’s my default. I assume God can’t, or won’t, and I try to do it all myself. Now that I think about it, I’m really not much different from Jacob at all. And the question is maybe really the same thing: Do I really have any worth to You? It’s the enemy’s lie from the very beginning. Maybe God isn’t really enough for you. Maybe you need something different, something more. Maybe He doesn’t really have good in store for you. Maybe you’d better take care of yourself. And in response, God thundered into my life. His voice shouted from the pages of Scripture, whispered on the morning breeze, echoed on the sunrises. I could hear His tears and see His pain and I knew that every tear I cried was caught in His hands and every slice of pain I felt was magnified in His own heart. I finally understood how John could call himself the “beloved disciple”. The Father’s love poured into me. This crazy-horrible-scary walk through infertility was the exposure of my soul-wound– and as I look around today at this barren desert, I can laugh with delight. Not because it’s easy. Not because it’s fun. Not because I like it. I can laugh because I have the Living Water beside me, the Bread of Life holding my hand, and I have seen the face of God. Truthfully, I should change the name of my affliction. No longer shall it be “infertility” but rather, as Jacob named the edge of the river, “Peniel“. For this is where I saw the face of God. Friend, are you wrestling with God? Are you being forced to taste your own weakness? 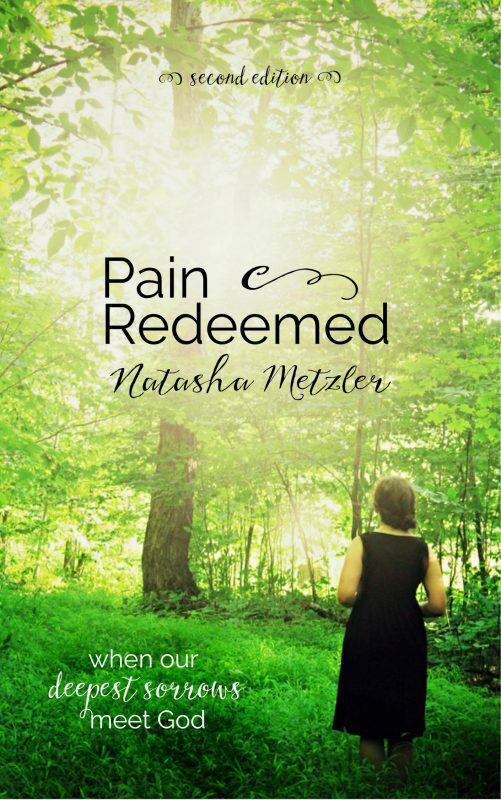 Is pain pulsing through your life? A new name will come. And He will show His glory to you. Oh, dearest one, don’t let go. Oh infertility. I praise God for this article and testimony. I have been greatly encouraged. This post has shaken me to my core. I am really struggling right now. I have spent days upon days crying out to God asking him why is my body broken? I feel much like this. I can’t help but feel empty and helpless. I am trying so hard to not let go. Thank you for sharing your journey with us. These tears I cry are because God is speaking to me through your post. As much pain and sorrow I feel I will plunge through this cycle, expose my wound, and press on. I’m in a similar wrestling match to the one in your life- we’re dealing with the infertility thing, too. Exciting. But you’re so right- it’s brought me so much closer to my God. I think struggles do that- we can either choose to let go or we can hold on and claim God’s goodness through it all. This was beautifully written. Thank you for giving words and a voice to so many of us who don’t have the same ability to articulate the struggle of infertility. I’m continually encouraged by your words, your heart, and your desire to “never let go” of our God. You always point to the hope of Christ- which is true and sound and sure. I need that- thank you!! Thank you Natasha. Keep up your good and hard work. Personally, I feel in a garden of Gethsemane currently but I should only be so lucky. Forced to eat and breathe my own weakness, you reinforce that nothing is wasted. I will hang on and try to reach out at the same time. Your love comes through in your writing and helps tremendously. Thank you. This is just beautiful, Natasha. You are so gifted and I know God has brought me to your blog to facilitate the healing work He’s been doing in me. Thank you for being honest and authentic about your journey, it blesses me, and I’m sure so many others! I am so thankful, Heather. Thank YOU for the encouragement. It means so much to me. The part of the journey God has placed me on is trying to seek His voice and instruction on what to do next. I want to hold on to Him and trust His plans, not taking action with my own plans, but I don’t know if He is the one opening doors or me. I have had 2 ectopic pregnancies leading me to no tubes and just had a failed IVF cycle as none of my embryos made it to day 5 for transfer. I received a phone call last week from a family friend with embryos to donate to a Christian family. Now I wonder if God opened that door for me to follow or if I am frustrated and getting desperate for the next best thing. I seriously need His voice to be loud and clear so I know I am holding on to Him. Will you pray with me???? This spoke to the deepest parts of my heart! Thank you for your words and for allowing God to speak to my pain through you! Infertility hurts to my core but God is so gracious in my weakest moments. And I have a ton of weak moments!